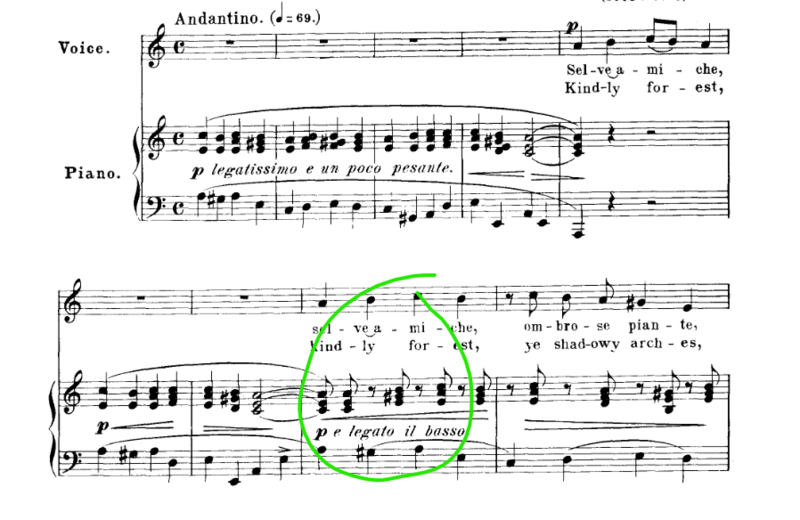 I’m accompanying a vocalist in the song “Selve Amiche.” In this piece, there is an instruction at the bottom of the first page that says to “divide the note value equally between the two vowels.” When listening to recorded version of this song, though the notes are written on the same beat, the accompanist plays the left hand note first and then the right hand, both as eighth notes, instead of together as quarter notes as written. This starts in measure 8 (see the picture I’ve attached), where the singer begins. Is that what you’re supposed to do here? I’d never seen this instruction before, so I wasn’t sure. Look at the piano part in this edition. (Different key, but same song). I expect that's what you're hearing. You appear to have a transposed version, done on a modern computer score program. The piano part has been simplified. Not the answer you're looking for? Browse other questions tagged piano accompanying or ask your own question. 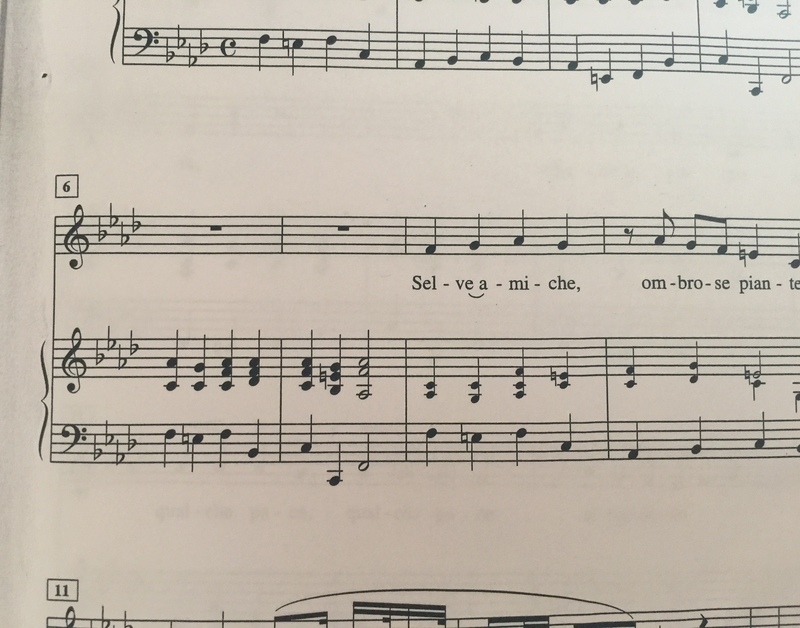 What note is this on the piano? How many notes in a trill?